The wait was worth it for custom Radeon RX 480 cards. Ashes of the Singularity, running on Oxide’s custom Nitrous engine, was an early standard-bearer for DirectX 12, and it’s still the premier game for seeing what next-gen graphics technologies have to offer. (It’s a fun real-time strategy game, too!) 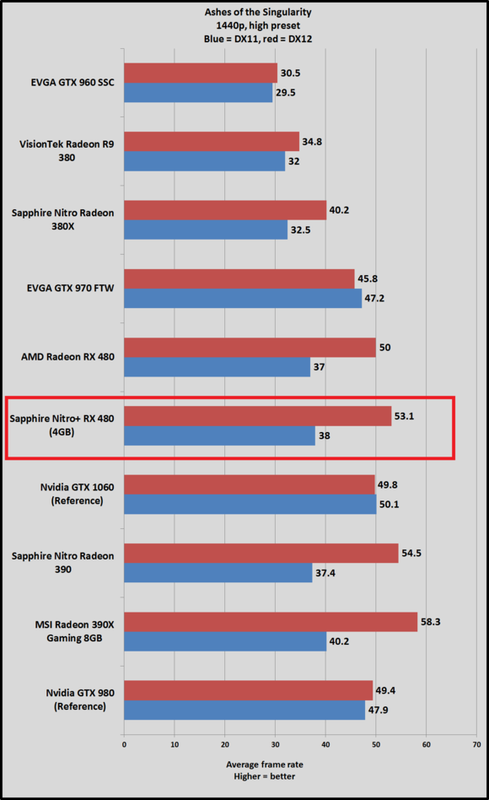 The performance gains it offers with DX12 over DX11 are eye-opening—at least when running on Radeon cards. 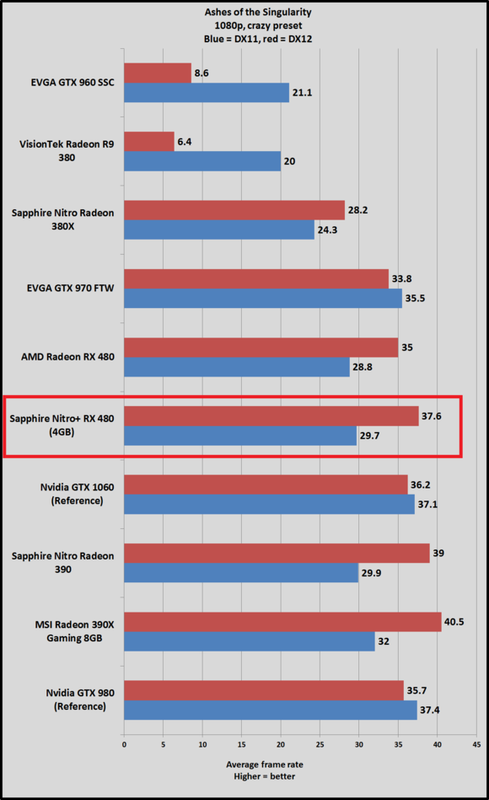 The most interesting tidbit here is the disparity in DirectX 11 vs. DirectX 12 performance. 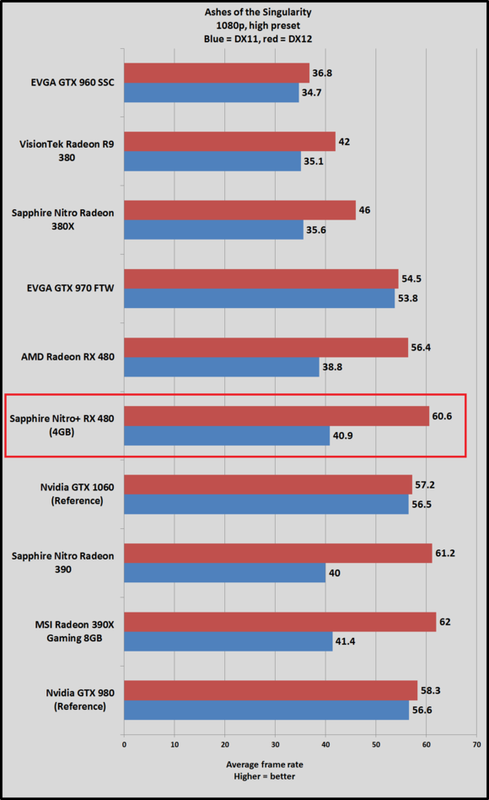 Nvidia’s GTX 1060 absolutely blows away the RX 480 in DX11 in Ashes —but that difference is negated when you activate DX12 mode with Radeon cards, which provides a massive performance increase. 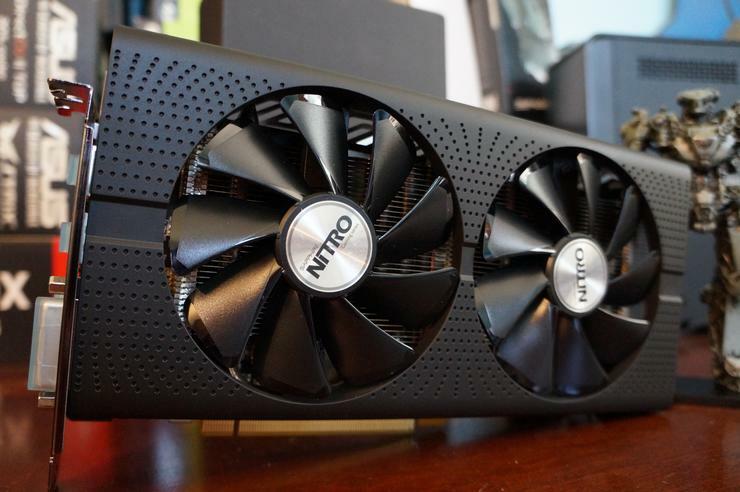 All in all, the DX12 boost brings the RX 480 into performance parity with Nvidia’s new card, and the Nitro+ RX 480’s slight overclock gives it just enough extra juice to technically slip past the GTX 1060. 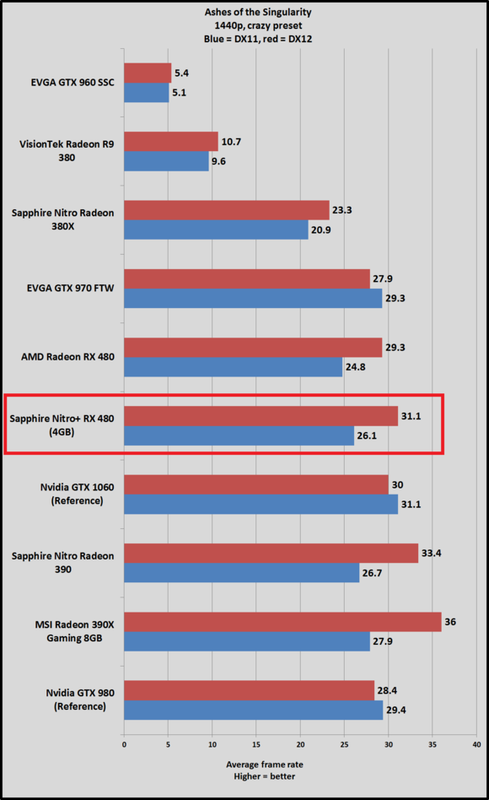 In reality, though, these cards are neck-and-neck in what you’ll actually see on the screen.